Birgit Krome, New York City's number one colonic therapist has successfully practiced colon hydrotherapy in the most esteemed New York Spa's for 33 years. She has impeccably combined colonics, weight loss, detoxing and nutrition in her unique colonic detox program. In addition to the actual colonics she teaches her clients to change their dietary habits toward raw live organic foods to overcome chronic fatigue and lose weight. 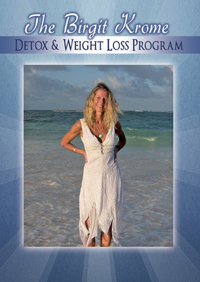 Her impeccable unique program of applying colon hydrotherapy, nutritional coaching, Hanna Kroeger Herbs, as well as Edgar Cayce remedies has helped hundreds upon hundreds of people to lose weight permanently. She combines her personal approach of colon hydrotherapy with her excellent background in live raw organic foods and a variety of Kroeger Herbs and homeopathic remedies for deep cleansing, weight loss and increased energy. 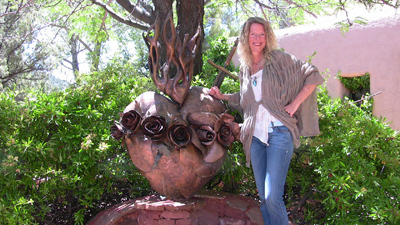 Her extensive background in nutrition as well as 33 years of impeccable New York colonic applications integrating Edgar Cayce remedies and Hanna kroeger Herbs and homeopathic remedies is very special and most importantly greatly effective, it is definitely not just colonics but a true holistic detox approach to a healthier body. Birgit's loving motivational coaching skills as well as her enthusiastic personality makes the potentially awkward process of colonics into a positive relaxing uplifting experience! Birgit's team of colonic therapist have been trained in her method of colon hydrotherapy, nutrition and weight loss. Birgit's colonic therapist practice what they preach and can coach clients from personal experience. To top off her unique colon hydrotherapy approach of 33 years in New York she offers her colonic weight loss program. The superior, elegant, stylish, beautiful, very quiet and relaxing Paul Labrecque Spa at the Core Club located at 66 East 55th st. between Madison and Park Avenue is the perfect environment to "detox in style". Walking into the reception area you will be welcomed very personally by the exceedingly friendly, professional Paul Labrecque staff. The treatment rooms, on the six floor have floor to ceiling windows covered by gorgeous cozy curtains, wooden walls, wooden floors, high ceilings, and plenty of daylight, the perfect Feng Shui. To top it off there are eight carrera marbled bathrooms, one for each client with your own vanity section. You can relax in the luxurious, and serene relaxation room. The spa is very private including individual changing rooms, a very hot stylish dry sauna and New York City's best steam room, allowing you to detox further before and or after your colonic. Furthermore an organic salad and juice can be ordered from the restaurant. The Core Club truly is an oasis in the heart of the big apple. A genuine getaway to detox, relax, regenerate, and feel better, without actually having to get away. It is like walking into a palace. It's all about "letting go" at the core. To view virtual tour click here or on video link and press release. The famous Paul Labrecque Spa is located on the upper east side of N.Y.C. A beautiful private quiet setting offering separate female and male steam rooms and beautiful bathrooms make it a lovely colonic experience with plenty of individual attention given to the client by the very professional colonic therapist and the Paul Labrecque staff. There is also an organic juice bar that turns out delicious healthy concoctions. What else does a colonic improve? Does colon hydrotherapy help you to lose weight? How will I feel after a colonic? How frequently should I have a colonic? Can I do colonics when I have my period? How should I prepare myself before a colonic treatment? Can I have a colon hydrotherapy session when I am pregnant? What kind of equipment should one look for? What kind of colon hydro therapist should one look for? What is Far Infrared beneficial for? How can I use Far Infrared for myself? During this service, warm filtered water is gently infused into the colon while your therapist uses special massage techniques on the abdomen and certain pressure points on the right leg to stimulate the release of accumulated matter. The entire system is enclosed and all waste matter is removed. Colon hydrotherapy is odorless and the clients dignity is assured. It is a very gentle procedure. A healthy colon and diet are essential for a healthy strong balanced body, energy, beauty, and perfect weight. Conventional diets, stress, anxiety, and inadequate exercise can contribute to problems associated with the large intestine. Improper elimination of undigested food material due to an atonic (sluggish) colon can result in increased bacteria and toxins in the body which can manifest into acne, chronic fatigue, halitosis, headaches, skin rashes, lower back pain and weight gain. Colon hydrotherapy helps improve healthy bowel movements significantly. Colon Hydrotherapy will help to relieve constipation. Colon Hydrotherapy will help to relieve feeling bloated. Colon Hydrotherapy will help to detoxify the liver. Colon Hydrotherapy will help people to lose weight . Colon Hydrotherapy will benefit women with frequent yeast and urinary tract infections. Colon Hydrotherapy will help psoriasis conditions to get better. Colon Hydrotherapy will improve one's energy level. Colon Hydrotherapy will reduce food cravings. Colon Hydrotherapy will help alleviate mood swing's and depression. Colon Hydrotherapywill help to improve acid reflux conditions. Colon Hydrotherapy will make your skin look better. Colon Hydrotherapy will overall make you feel and look better, slimmer, with radiant skin, especially when combined with a balanced healthy eating pattern. The skin is the second largest elimination organ. If there are problems with your skin, it is a sign that your first largest elimination organ, the colon, is overloaded. Yes they do, typically people who cannot lose weight have a sluggish colon, and their metabolism may be slowed down due to constipation. A series of colonics is a "must" in assistance to any weight loss program. No, you barely feel anything and the treatment is actually quite relaxing. There are moments during the colonics where you have the feeling of needing to go to the bathroom which passes when the pressure is released. Most clients report feeling lighter, uplifted, cleansed, less bloated, and happier. In the beginning, one might feel a little tired and would want to take it easy. After the colon is cleaned, clients feel energized and good. It is advisable to go home and rest and take it easy especially when you first start a cleansing protocol. It is recommended to have an initial series of 6 or more colonics performed once a week. Years of constipation cannot be reversed in only one or two visits. It takes a person 6 to 12 colonics to see the plaque loosen up and be eliminated. It also depends on the clients eating habits, past history and age. Yes colonics actually help with PMS and cramping. Have a light breakfast and or lunch before your colon hydrotherapy session. And leave three hours between your meal and the actual colonic so you don't come in on a full stomach. Juices and water are okay. Yes one can do gentle colonics during pregnancy but not in the first trimester. Ideally work with a colon-hydro therapist who has administered colon hydrotherapy to pregnant women in the past. Ideally someone with a nutritional background, some years of experience, and someone who uses disposable speculums. According to NASA research, Far Infra Red is a solar energy vibration 0.76 to 1,000 microns. Within this spectrum the range of 8 to 14 microns is the healing spectrum that synchronizes water molecules and improves the growth of healthy cells. Helps to balance the Para sympathetic and Sympathetic nervous system. It increases circulation and oxygenation to the cells. Helps to detoxify the body. Creates heat inside the body. Warms up cold body spots called "cold spots". Brings up ones body temperature overall after several sessions. Helps to ease aches, and pains. Helps to reduce adrenal stress. Promotes a feeling of deep relaxation. Promotes an overall feeling of well being. C. Far Infrared session on a Far Infrared mat with the Far Infrared hand held Onnetsuki wand. According to NASA, the Far Infrared spectrum of, 8 to 14 microns, is the only solar energy that promotes life. In many years of scientific research, Japanese scientists created a hand held Far Infrared appliance that omits these microns. It was perfected by Dr. Kazuko Tatsumura and introduced to the USA in 1995. Ancient Japanese concepts work with the fact that unhealthy cells are "cold", below 97.7 F and need to be heated up to 97 to 98 F to create circulation, oxygenation and to have a healthy immune system. In four hundred and sixty BC Hippocrates said "give me the power to create a fever and I will heal any disease". The Far Infrared wand helps to warm up a persons body temperature. During the procedure the client lies on the belly on a Far Infrared mat while the Far Infrared wand is applied to the spine balancing the Para sympathetic and Sympathetic nervous system. According to a famous immunologist, Dr. Toru Abo, he proved that unless these two systems are balanced the immune system suffers. Using the Far Infrared wand on the spine can balance these two systems. In the second part of the session the client turns over onto their back. The Far Infrared wand is then applied through a cotton sheet on the belly and chest focussing on the elimination organs such as the liver, gall bladder, pancreas, spleen, stomach, small and large intestines. Afterwards meridian points on the legs and arms are also warmed up while the client lies on their side. Furthermore Birgit will also look for "cold spots" on the body, which are actually experienced by the client as a "Hot Spot". The Far Infrared rays penetrate up to four inches deep into the body. This therapy is completely natural by improving ones own healing power. It is deeply relaxing! Birgit Krome has been an expert on detoxing, cleansing, and nutrition well over thirty three years. She created her own unique detox and rebuilding program. Her combination treatment for a "Optimum Detox" consist of a Far Infrared treatment for a 1/2 hour or an hour before the colonic session. This promotes a gentle and deeply detoxifying experience. Birgit's colonic method is based on the Edgar Cayce teachings applying Castor oil on the belly as well as a gentle colon massage during the entire session. All along the client is lying on the Far Infrared mat. The water used for the colonic is filtered through four filters and can also be oxygenated upon request. Both treatments can be done independently of each other however Birgit has found that the combination of the two are the "Optimum Detox"